More than 300 people were killed in Iran when a magnitude 7.3 earthquake jolted the country on Sunday, state media said, and rescuers were searching for dozens trapped under rubble in the mountainous area. At least six have died in Iraq as well. State television said more than 336 people were killed in Iran and at least 3,950 were injured. Local officials said the death toll would rise as search and rescue teams reached remote areas of Iran. 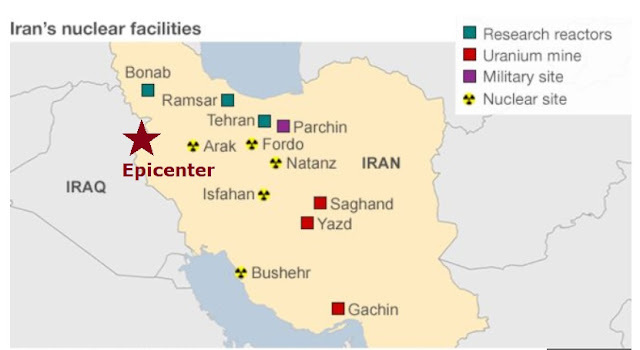 The earthquake was felt in several western provinces of Iran, but the hardest hit province was Kermanshah, which is where the Arak heavy water reactor and production plant is situated. 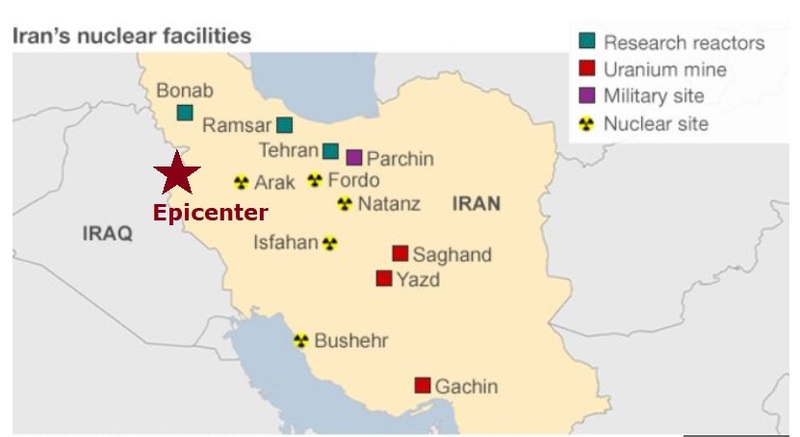 The existence of a heavy-water facility near the town of Arak first emerged with the publication of satellite images by the US-based Institute for Science and International Security in December 2002. Spent fuel from a heavy-water reactor contains plutonium suitable for a nuclear bomb, according to the BBC. More than 236 of the victims were in Sarpol-e Zahab county in Kermanshah province, about 15 km (10 miles) from the Iraq border. Rescuers were laboring to find survivors trapped under collapsed buildings. The quake also triggered landslides that hindered rescue efforts, officials told state television. The U.S. Geological Survey said the quake measured magnitude 7.3. An Iraqi meteorology official put its magnitude at 6.5 with the epicenter in Penjwin in Sulaimaniyah province in the Kurdistan region, close to the main border crossing with Iran. Kurdish health officials said at least six people were killed in Iraq and at least 68 injured. "I thought at first that it was a huge bomb. But then I heard everyone around me screaming: 'Earthquake!"' Similar scenes unfolded in Erbil, the capital of the Kurdistan Region, and across other cities in northern Iraq, close to the quake's epicenter. Electricity was cut off in several Iranian and Iraqi cities, and fears of aftershocks sent thousands of people in both countries out onto the streets and parks in cold weather. The head of Iranian Red Crescent said more than 70,000 people were in need of emergency shelter. Hojjat Gharibian was one of the hundreds of homeless Iranian survivors, who was huddled against the cold with his family in Qasr-e Shirin. A magnitude 6.6 quake on Dec. 26, 2003, devastated the historic city of Bam, 1,000 km southeast of Tehran, killing about 31,000 people.